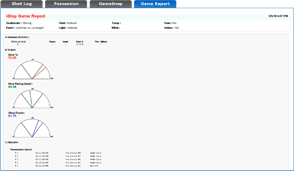 Purchasers of our iPhone App enjoy three free data uploads to sample the reports. 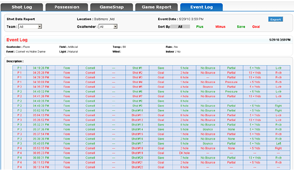 Sequential listing of all recorded shot or possession events displayed in the order of occurrence. Can be exported as Microsoft Excel file for raw data storage. 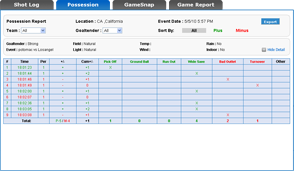 A combination report that displays both hard game statistics plus weighted save percentage. 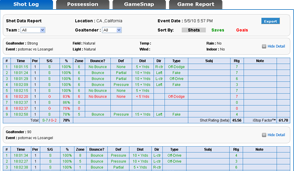 Highlights strong saves, "shrug-offs" and possessions gained and identifies potential areas for improvement. 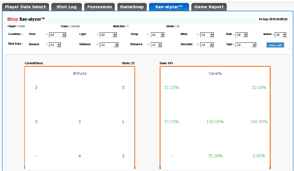 Select specific combinations to see how save percentage changes with shot characteristics. 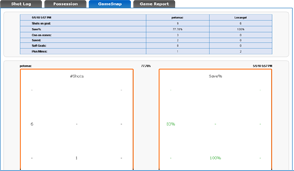 Example: calculate the save % for all partially defended bounce shots from ten yards out on wet artificial turf. Any difference right to left?